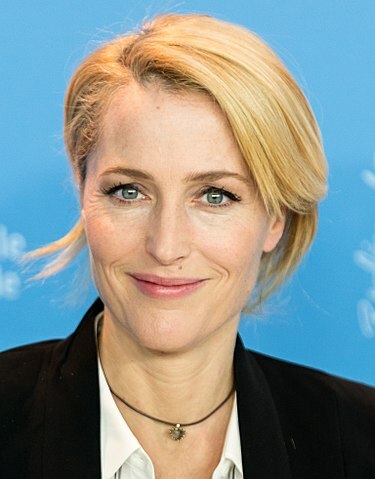 Gillian Leigh Anderson was born in Chicago, Illinois, United States, on August 9, 1968, is an American hot actress. Young Gillian Anderson began her professional acting career on stage in a play Absent Friends (1991), at the Manhattan Theatre Club, for which she won a Theatre World Award for Best Newcomer. She made her big screen debut in drama film The Turning (1992) in role as April Cavanaugh. Her breakthrough performance came as FBI Special Agent Dana Scully in science fiction supernatural television series The X-Files, for which she won the Golden Globe Award for Best Actress and the Primetime Emmy Award in 1997. She won the British Independent Film Award for Best Actress for her role as Lily Bart in drama film The House of Mirth (2000). She was nominated for the BAFTA TV Award for Best Actress on Television for her role as Lady Dedlock in television drama serial Bleak House (2005). She played Dr. Bedelia Du Maurier in psychological horror thriller television series Hannibal (2013–2015). She portrayed DSI Stella Gibson in crime drama television series The Fall (2013–2016). Received a star on the Hollywood Walk of Fame at 6508 Hollywood Boulevard in 2018. She is an avid patron and collector of art pieces. She is an honorary spokesperson for the Neurofibromatosis Network and an active member of People for the Ethical Treatment of Animals. Has English, German and Irish ancestry. She was married to Clyde Klotz (1994–1997), they had one daughter and Julian Ozanne (2002–2007). She was in a relationship with the British businessman Mark Griffiths (2006–2012), they have two sons. She started dating British film writer Peter Morgan in 2016. Lives in Central London, England, UK. There's a big part of me that would love to be a secret agent. But if I showed up to do an investigation and interrogate someone now, they wouldn't be able to take me seriously. I've ruined that for myself.